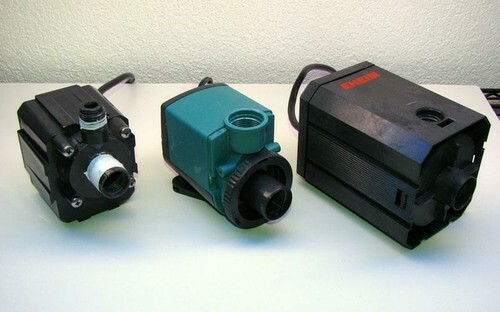 For years the Maxi Jet line of pumps has been one of the most popular powerheads of the aquarium hobby. Originally designed for general circulation and powering undergravel filters, the pumps have been reapplied for powering skimmers, reactors, media filters and there are modification kits available which elegantly convert the centrifugal pumps into propeller pumps. The pumps’ only drawback was that the largest model had a maximum flow rate just shy of 300 gallons per hour. 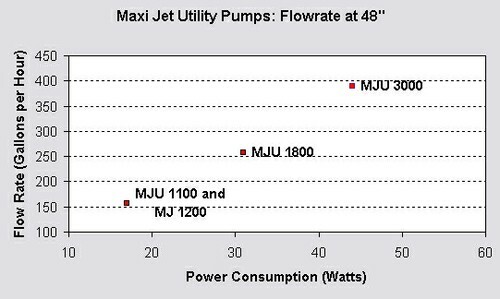 Enter 2008 and the Maxi Jet line has finally been revamped to include more powerful models known as the Maxi Jet Utility (MJU) pumps. This review features the three largest currently available models, the MJU 1100, MJU 1800 and MJU 3000, although two larger models are scheduled to be released in the near future. One of the main changes which differentiate the Maxi Jet Utility line from the classic Maxi Jets is their ability to be converted from an internal powerhead or pump to an external pump simply by switching the faceplate. The faceplates of the MJU 1100 are snap on but the larger MJU 1800 and 3000 have two stainless steel screws which firmly fasten the internal use faceplate. All of the internal use faceplates have a flow adjustment “disc” which doubles as an intake screen. 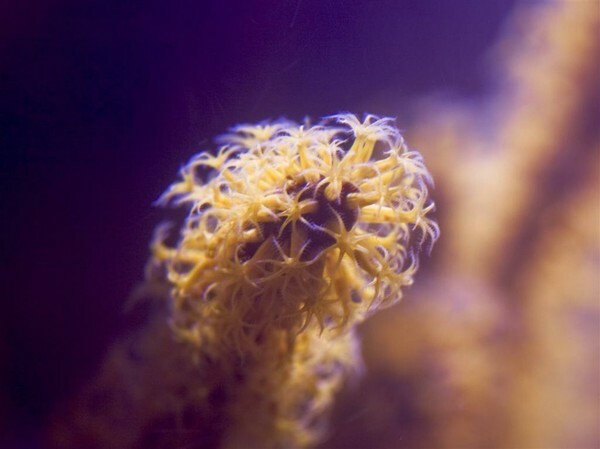 This built-in flow control is useful for quick adjustment of the flow rate but when used in a reef this disc will likely be difficult to adjust once it becomes bio-fouled by encrusting organisms if it is not frequently cleaned. Furthermore, all the MJU pumps have a female threaded outlet, ½” for the MJU 1100 and ¾” for the MJU 1800 and 3000, and the external use faceplates have female threaded inlets of the same size. The inlet and outlet threads can accept the included barbed adapter or they can be hard plumbed using standard PVC fittings. Specifications obtained under carefully controlled testing conditions are useful for knowing how well equipment can perform but a new product has no street credentials until it is tested and used under real world conditions. The Maxi Jet Utility pumps were tested for flow rate and power consumption. Power draw was measured using the Kill-A-Watt as featured by Dana Riddle in last month’s issue and the flow rate was measured using a King Instruments rotameter (the rotameter adds 18 inches of pressure which was accounted for in these tests). One of the first things I wanted to test was how the MJU pumps would be affected by using either the internal or external faceplates. 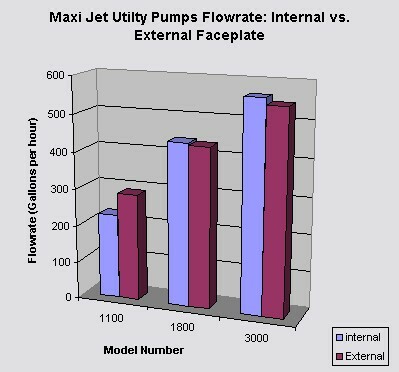 Figure 1 shows that there was a significant difference in performance for the MJU 1100 where it pumped about 40 gallons more per hour using the external use faceplate over the internal use faceplate. 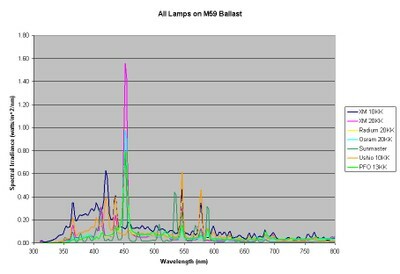 There was no significant difference in the flow rate of the MJU 1800 or MJU 3000 whether they used the internal or external use faceplates. Next, the MJU pumps and an MJ 1200 were tested at 18″ and 48″ of head pressure. Figure two shows the results of testing at 18″ and Figure 3 shows the results of testing at 48″ of head pressure. I would have liked to test all the pumps with no head pressure but the rotameter precluded this. As you can see in figure 1, the MJ 1200 pumped slightly less volume than the MJU 1100 at 18″ of head pressure but interestingly, at 48″ of head pressure the MJ 1200 and MJ 1100 pumped the same volume of water while consuming the same amount of power. Otherwise, all the tests show results that are in line with the advertised flow rates and I assume that discrepancies are due to artifacts of how the tests were carried out. The last test I performed was to measure how much the MJ 1200 and MJU 1100 pumped through a classic AquaC Remora hang-on protein skimmer. This test was performed by repeatedly timing the fill rate of a known volume and taking the average. Once again there was a negligible difference in output with the MJU 1100 pumping 92 gallons per hour through the Remora and the MJ 1200 pumping 88 gallons per hour. Since the end of the metric tests I have had all three pumps in use for a range of applications. The MJU 1100 is powering an AquaC Remora while producing a similar output of skimmate as I would expect from the MJ 1200 I previously used. The MJU 1800 is providing return from a sump for a 110 gallon fish tank and the MJU 3000 is currently driving a small tiered propagation system with outputs at 4 feet and 6 feet from the sump. I am getting a reasonable flow rate from both pumps and I am especially pleased with how quiet they are. 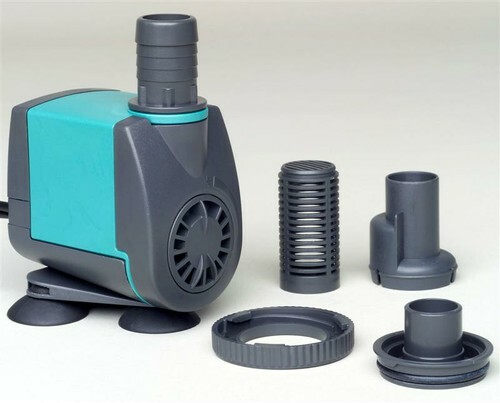 Although there is no manufacturer suggested retail price, the pumps will likely retail at $50-60 for the MJU 1100, $70-80 for the MJU 1800 and $120-130 for the MJU 3000. The pumps are not breaking any ground in terms of performance or efficiency, but with the Maxi-Jet reputation and a 3 year warranty I find great value in the Maxi Jet Utility line’s versatility and even more value in their quietness.